Astronomers say 'K2-33b' is just 5 million to 10 million years old. What would it take to hide an entire planet? It sounds more like a question posed in an episode of "Star Trek" than in academic discourse, but sometimes the bleeding edge of science blurs with themes found in science fiction. The space agency hasn't yet explained why this would happen. Physics is by consensus! In gravitational theories we have three accords, Relativity, Strings & Quantum (RSQ) theories. Like a board of directors, the physics community, based on empirical evidence, agree to disagree on how Nature works. Nature, herself, has only one vote, and it is a veto. 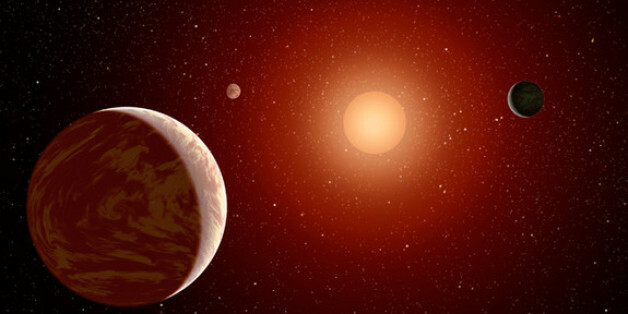 Kepler-453b is the 10th planet found that orbits two stars. Anyone who has studied physics and marketing can observe some very interesting similarities between the concepts of these two seemingly different disciplines. Unlike physics, however, marketing is not often taught according to scientific principles. HOW MANY Stars In Our Galaxy Host Alien Worlds! ?